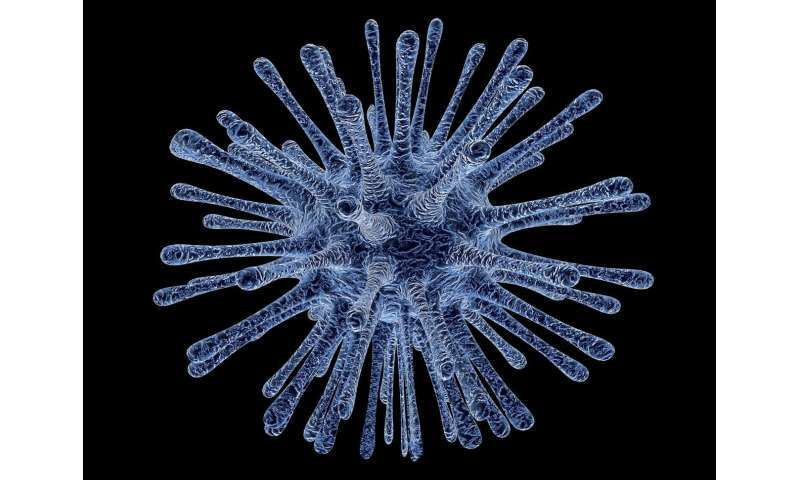 A new report generated by a team at Johns Hopkins Bloomberg School of Public Health suggests we might be fearing the wrong types of viruses. Instead of worrying about Ebola or Zika, the report contends, we should be worrying about airborne infections because they pose a greater risk of pandemic. The media tends to focus more heavily on epidemics that involve patients with horrible symptoms, such as those caused by Ebola. But according to the report, such viruses are not likely to be the ones involved in the next big pandemic—if there is one. After studying the most likely scenario surrounding a global pandemic, the team found that it will likely involve an RNA virus—a type of virus that has RNA as part of its genetic makeup. Such viruses are typically airborne and mutate quickly, allowing them to change to a form that could kill millions. To address the possibility of a future pandemic, the researchers took a new approach. Rather than relying on lists of viruses that are already known to pose a risk, they began their study by ignoring past history and conventional wisdom. Instead, they took a logical approach, systematically narrowing down factors that could lead to a widespread outbreak. The also looked closely at results from studies and interviewed over 120 experts in the field. They identified several traits that a future pandemic-causing pathogen would likely have: It would have to be able to spread before a victim shows signs of infection, it would have to be something to which most people are not immune, and it would require a low fatality rate. They also noted that it would likely not be preventable or treatable. RNA viruses are the closest match, they point out. RNA viruses include those that cause the flu and the common cold, and also SARS and other respiratory ailments. The researchers conclude their report, titled "The Characteristics of Pandemic Pathogens," by making suggestions to ward off a pandemic. They caution that a better system of surveillance is required—one that would include such things as hospitals clearly identifying pathogens when a patient has symptoms that are commonly chalked up to cold, flu or pneumonia. The report also recommends a stronger effort to develop drugs against all RNA viruses, not just the flu. "New report suggests airborne viruses most likely cause of future pandemics"
sound as if it is confusing present tense with future tense? "New report suggests airborne viruses most likely will cause future pandemics"
"New report suggests future pandemics most likely will be caused by airborne viruses"
hunny, based on this article I agree that your second choice of headline is more accurate. However, I disagree with the premise implied by this article. For a potentially dangerous micro-organism to become lethal? It won't just be floating around in the air, basking in the sunshine. Humans and our diseases have an ancient, intimate relationship. If airborne was sufficient? The hurricanes every year from Africa would have eradicated the American indigenous long before those dirty savages from Europe showed up! No, it is our own farming practices and urbanization that are the petri dish for mutating diseases. As well as providing all-to-efficient means of distribution, human to human. This clickbait headline will rile up the nutcases who blame their chronic ills on aircraft crews deliberately spreading germ warfare via aircraft contrails.